Inter-American Products produces a complete selection of spices in whole, cracked, milled, and powder form in a wide range of retail and bulk service packs. We also offer a wide selection of baking extracts and seasoning pouch mixes. 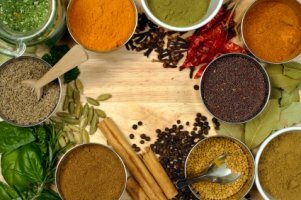 All spice, extract and seasoning mixes may be conveniently staged for consolidation with a wide variety of other Inter-American products.